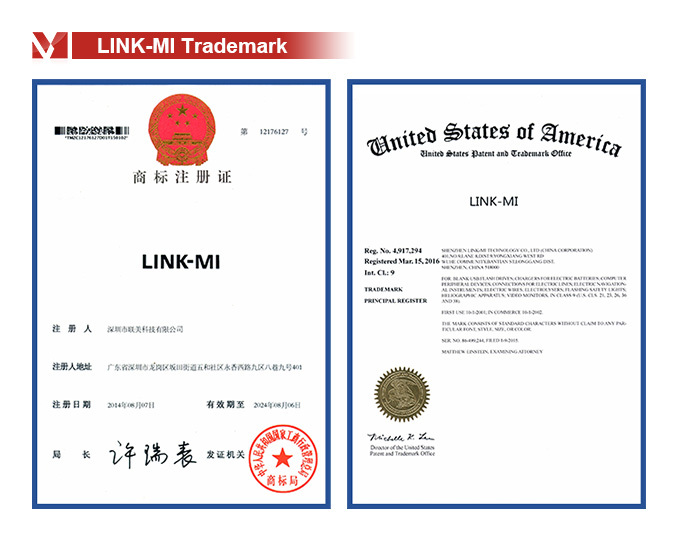 LINK-MI TECHNOLOGY CO., LIMITED has integrated plenty of product lines, offering customer various of High Definition digital consumer Products ,AV Products& Peripherals . 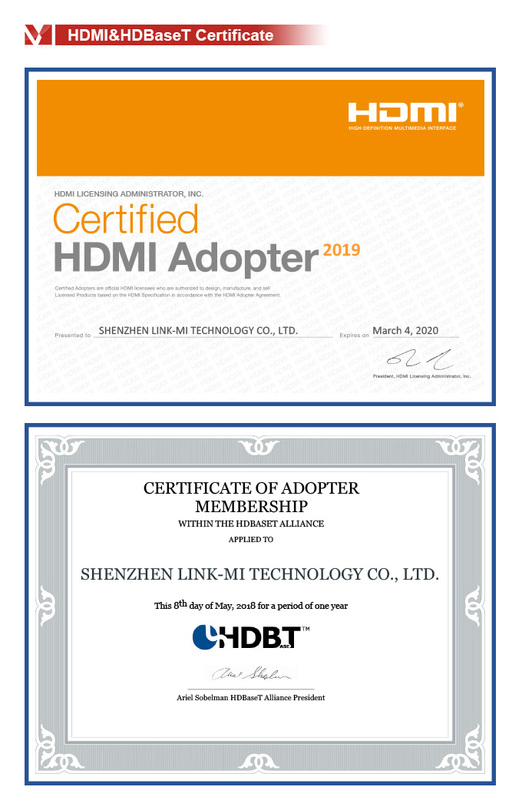 We are a professional manufacturer which specialized in researching, developing, manufacturing and promoting full HDMI series products such as HDMI extender, Wireless HDMI, SDI Converter, HD-SDI LCD Monitor etc. 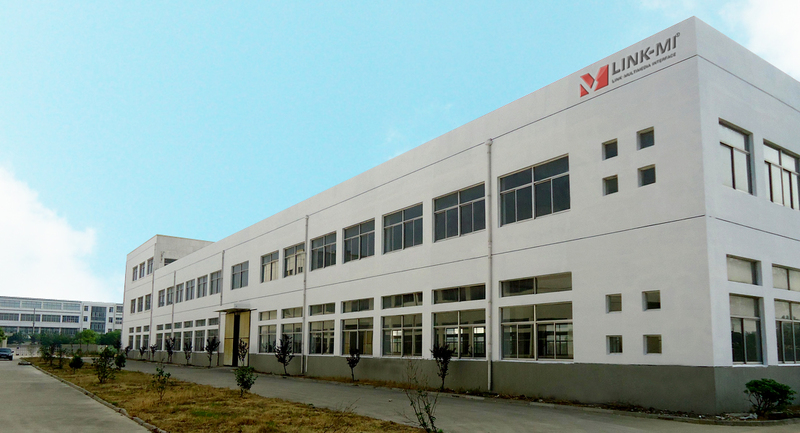 To lead the trends of growing market demands, our R&D department are always taking initiative to create new items. We keep releasing new models with New technology every month . Now our products range covers HDBaseT Series, full series HDMI Extender over IP, Wireless HDMI, SDI Converter, HD-SDI LCD Monitor etc. 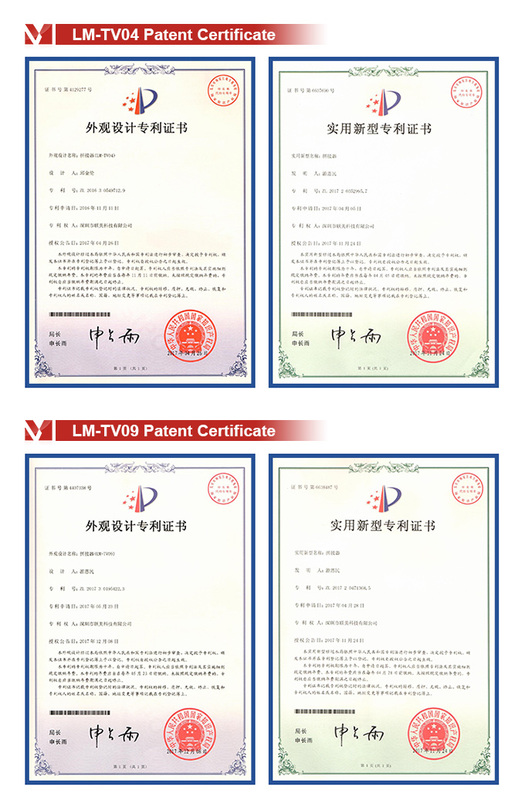 Up to now, we have provided OEM service for many big companies all over the world. 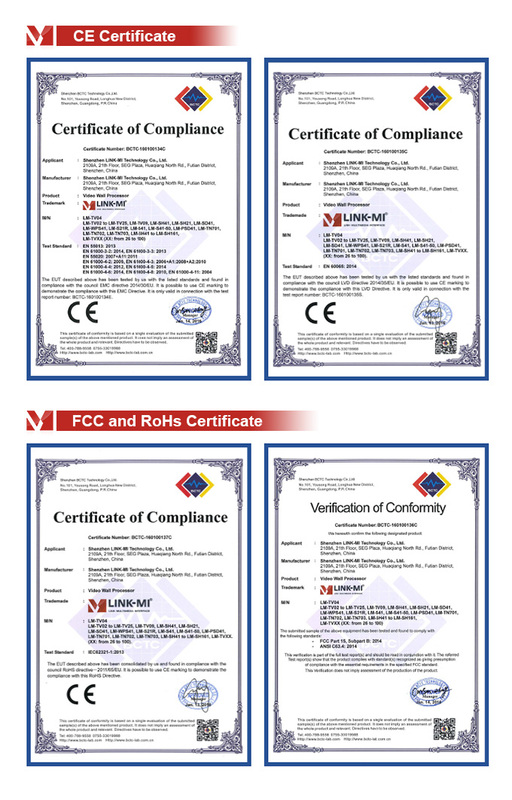 Our products have been used worldwide such as Europe, America, South East Asia & Middle East. Excellent quality and services help us to earn a great reputation in this field. 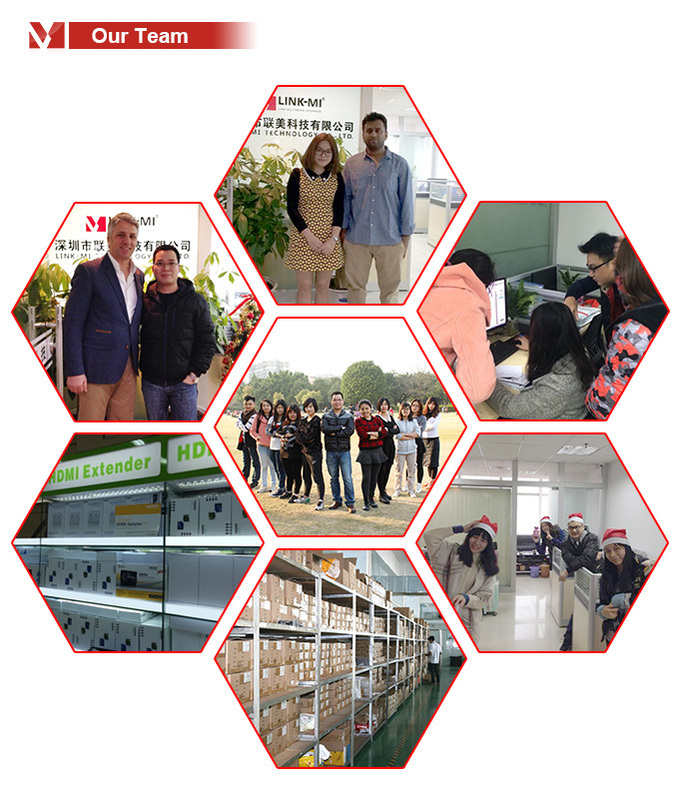 We are working on to be a more professional & reliable supplier and hope to build a win-win relationship with your company .